Lido Waterfront Bar & Bistro, Victoria, British Columbia. Information, Photos and Reviews. Enjoy handcrafted pizzas, tapas, and fish tacos while sitting on Victoria's picturesque Inner Harbour, with a frosty local pint or cocktail in hand. Choose from a cozy 40 seat interior surrounded by walls of 12 foot high glass, or our 52 seat "Lido Deck" surrounded by water on three sides with more hours of sunshine than any other on the harbour. Tucked away in the middle of all the action, make Lido your relaxing oasis for a while. NUBO JAPANESE TAPAS - VICTORIA (0.4 miles) - New style Japanese Cuisine Sushi, Sashimi, Tapas, Sake and more! Nobody has reviewed Lido Waterfront Bar & Bistro yet, Be the first. You are submitting a booking enquiry. 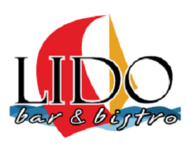 Lido Waterfront Bar & Bistro will then contact you by email with details of availability and prices.